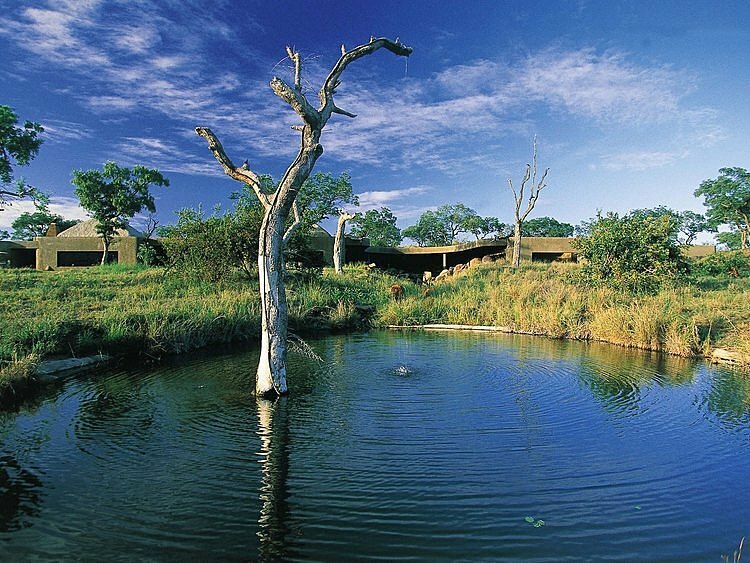 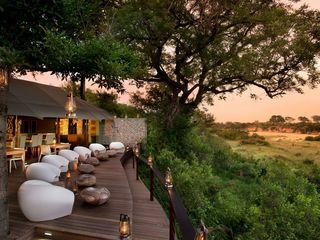 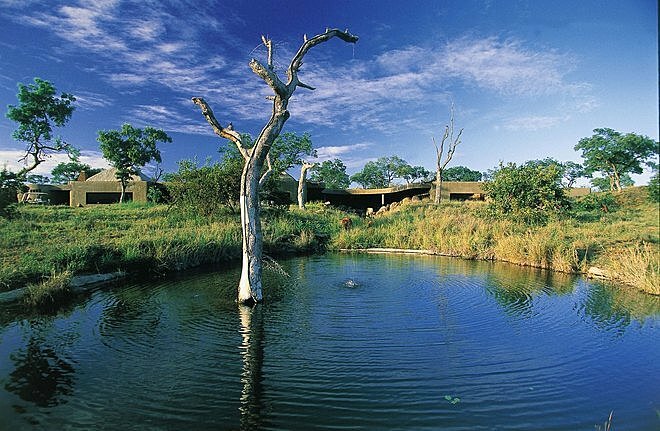 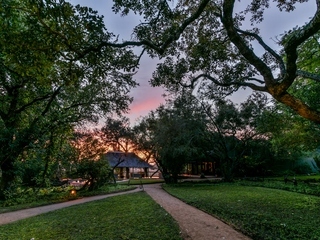 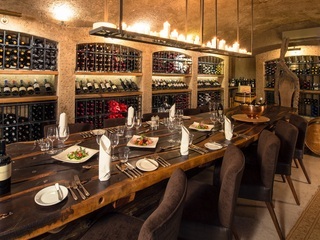 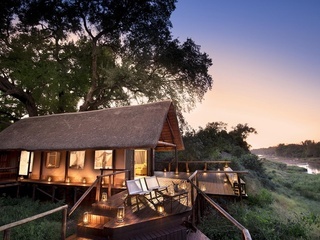 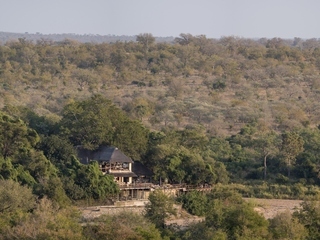 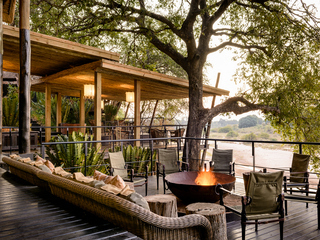 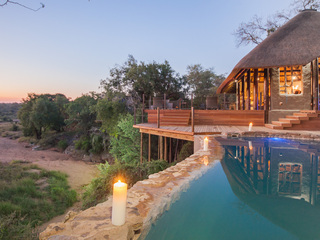 Sabi Sabi Earth Lodge is a deluxe contemporary property situated in a private reserve within the Kruger National Park, north eastern South Africa. 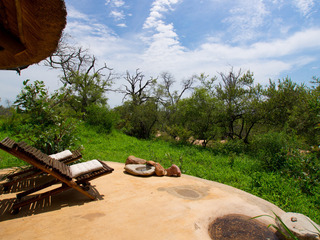 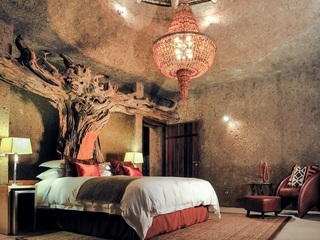 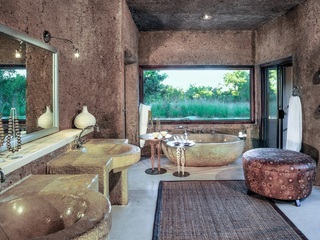 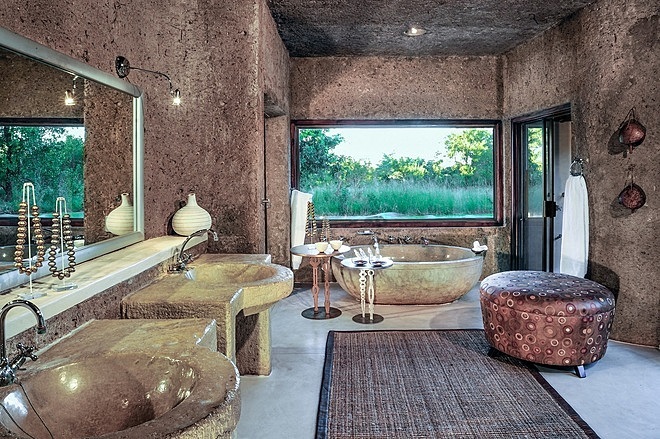 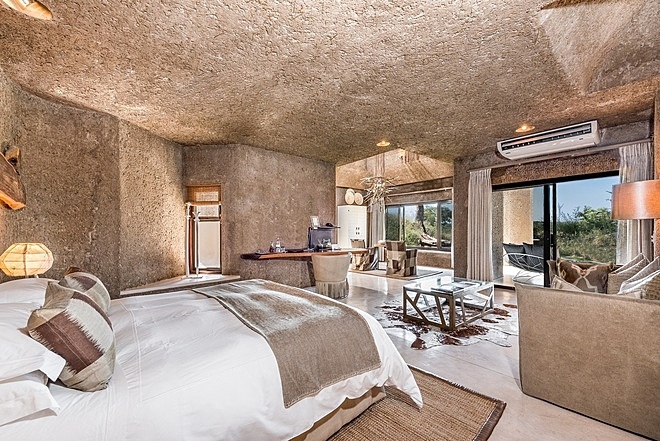 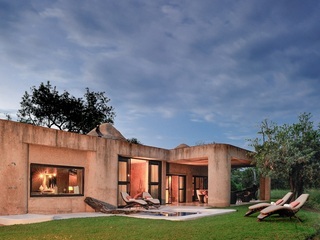 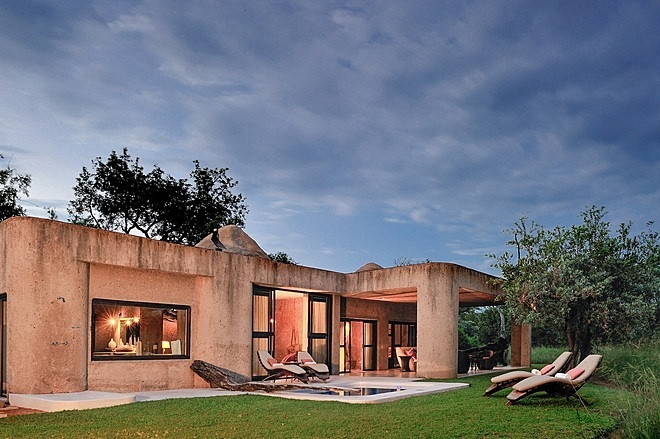 Featuring organic materials, bespoke furnishings and a unique futuristic design, this architecturally stunning structure has been built down into the earth, and sits unobtrusively surrounded by bushveld. 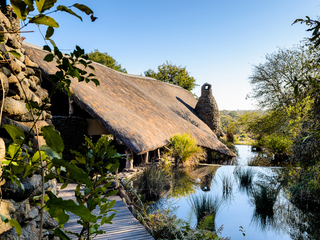 Boasting excellent hosting and guiding, the lodge offers elegant communal areas including a spa, library, and wine cellar, plus 13 beautifully appointed suites complete with private plunge pools and butler service. 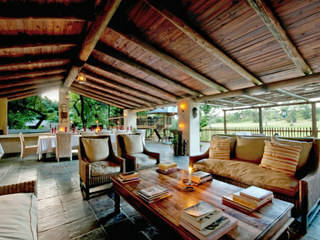 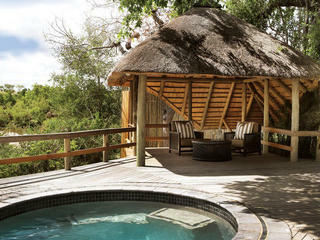 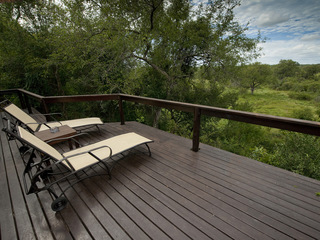 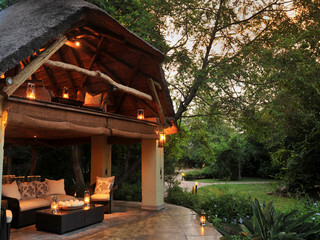 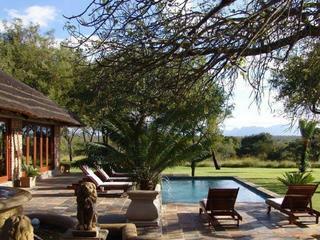 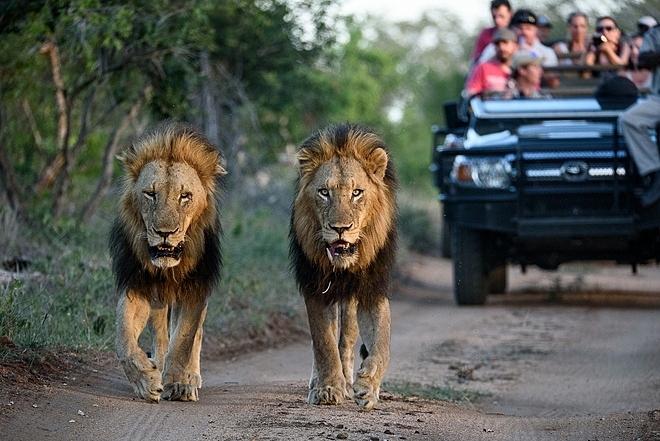 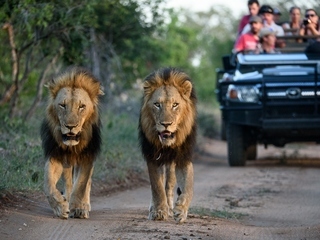 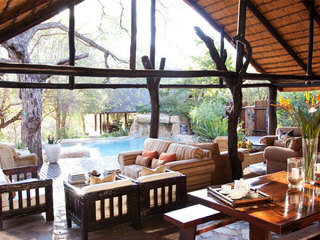 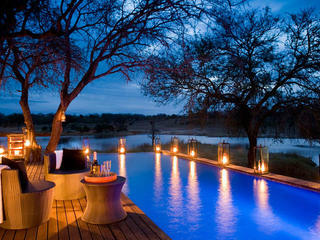 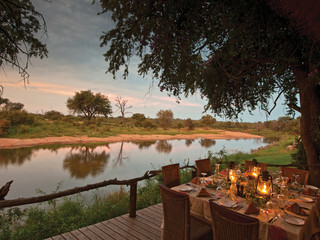 It will appeal to travellers with a higher budget who seek exclusivity and an extremely comfortable safari experience. 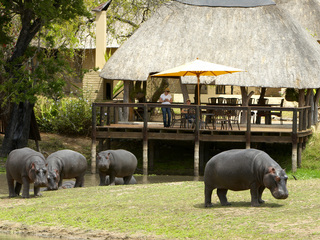 Communal areas include an elegant and contemporary dining room with an alfresco area overlooking a nearby waterhole popular with wildlife. 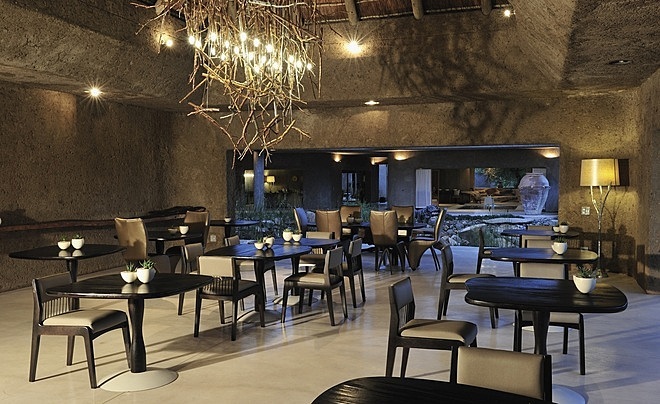 There is a sleek lounge and well stocked bar, a peaceful library, a gift shop, art gallery, and an extensive underground wine cellar. 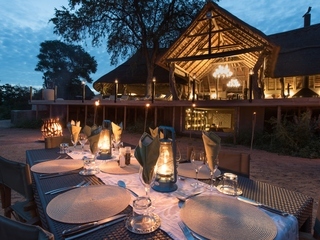 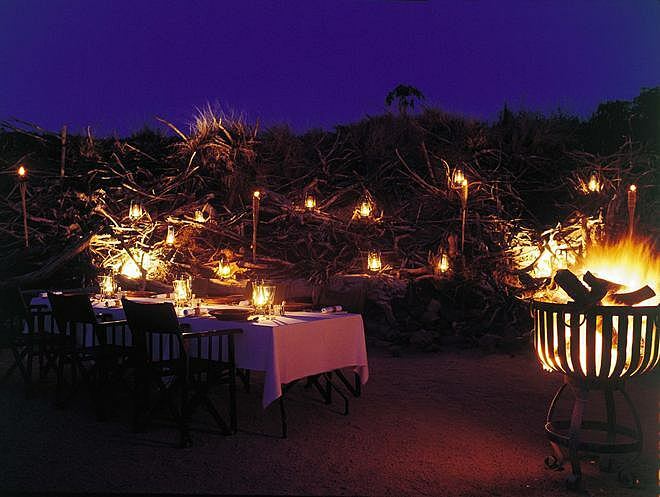 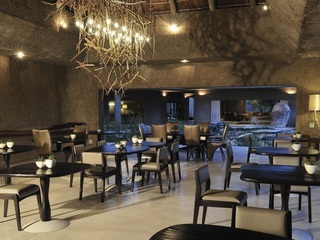 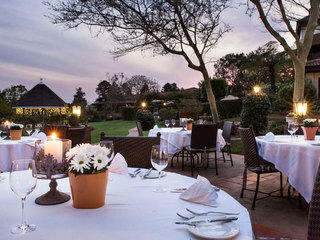 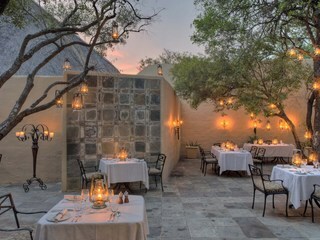 Outside, there’s a tranquil Zen garden and a ‘boma’ for dining beneath the stars. 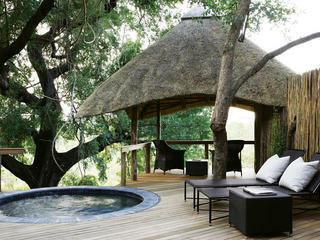 The spa offers a variety of massages and beauty treatments, and there’s also a fully equipped gym. 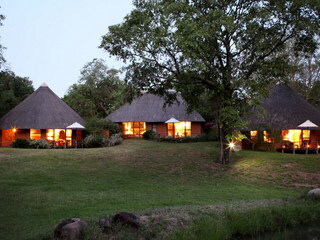 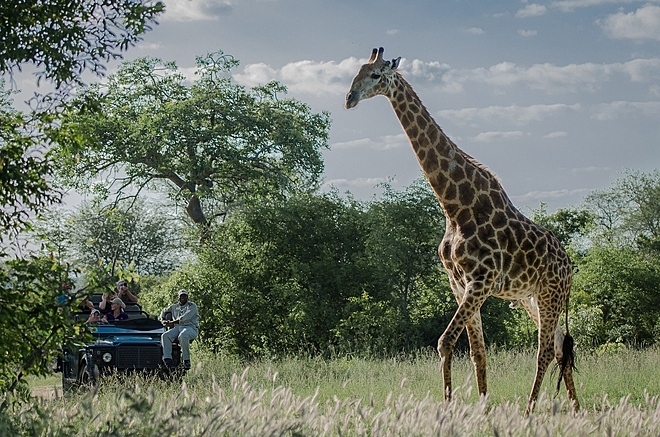 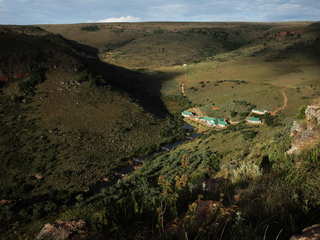 Activities include morning and evening game drives and guided walks with informed, enthusiastic guides. 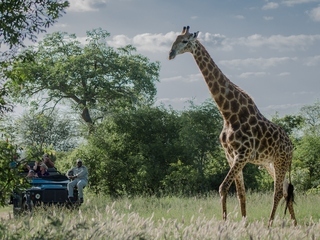 The area is home to the big five (lion, leopard, rhino, Cape buffalo, and elephant) along with cheetah, wild dog, hyena, and over 350 species of birds. Visits to the local community are also encouraged. 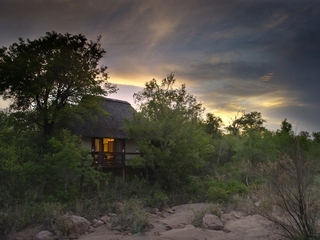 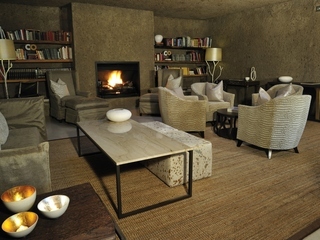 The accommodation comprises 13 suites, all individually designed and decorated. 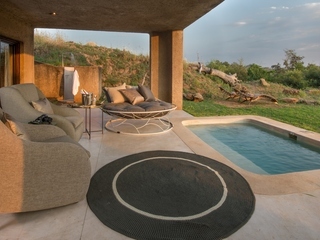 Each beautifully appointed unit features a king size bed and an expansive en-suite bathroom with a deep stone bath and both indoor and outdoor showers. 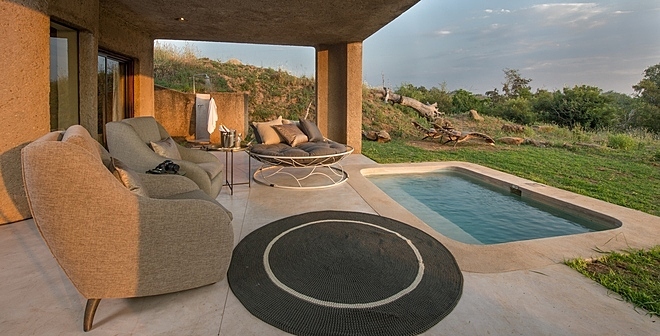 Outside, there’s a private terrace with seating and a refreshing plunge pool and all suites come with a personal butler service. 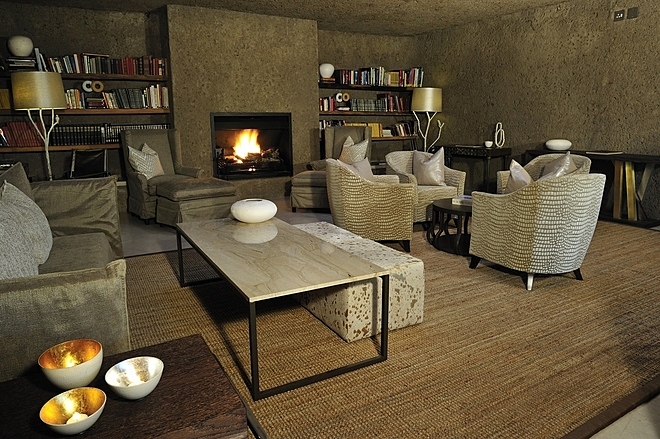 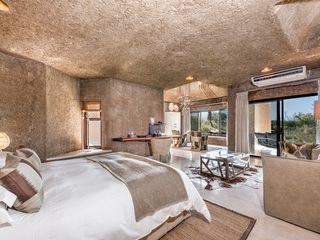 The opulent Amber Suite boasts additional facilities including a steam room, a study, a kitchen and a dining area, and comes with a private vehicle for exclusive game viewing. 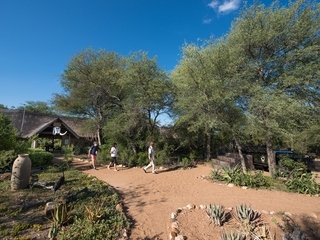 Children are warmly welcome at Sabi Sabi Earth Lodge, subject to the property being booked by a group or several families on an exclusive basis. 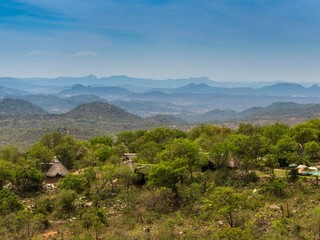 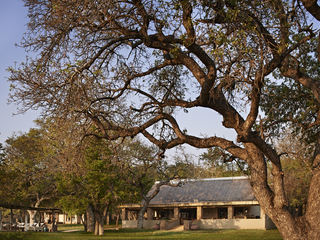 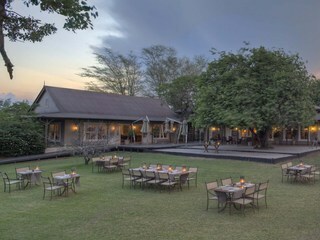 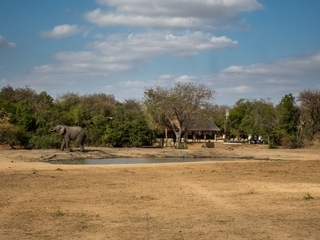 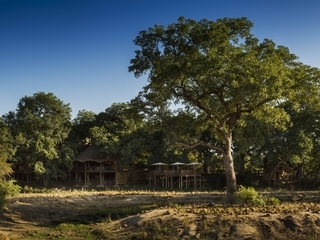 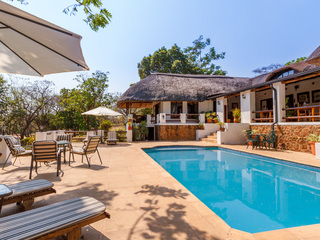 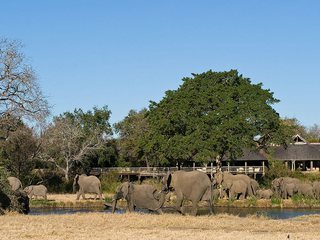 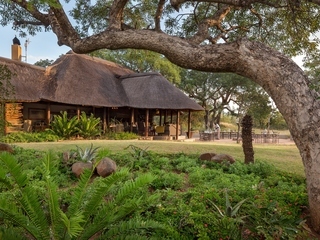 Note that its sister property, Sabi Sabi Bush Lodge, offers family accommodation and provides qualified childcare and an activity programme for younger guests.